Preimplantation Genetic Diagnosis is used alongside in vitro fertilisation (IVF) cycle for couples who have a known inherited disease in their family, such that they can avoid passing on the genetically transmitted condition to their child and future generations. In some instances, neither prospective parent may be aware of a condition as they may simply be a carrier. PGD involves checking the genes or chromosomes of your embryos for a specific genetic condition ensuring that only embryos that are not at risk of developing the known disorder are identified for implantation. Currently, our regulatory body, the HFEA has approved over 400 conditions for testing using PGD including, Thalassaemia, Down Syndrome, Sickle cell disease, Cystic fibrosis, Inheritable cancer pre-dispositions, Dominant/Recessive Polycystic Kidney Disease, Congenital adrenal Hyperplasia, Hemophilia, Huntingdon’s Disease, Muscular dystrophies and Fragile-X syndrome. For a detailed list of all approved conditions, you can view the HFEA website. If you already have a child with an inherited condition or have a family history of a serious genetic condition, your consultant will recommend PGD to help provide you with the best chance of a successful pregnancy and healthy child. Single gene disorder detection using Karyomapping enables us to check for mutations or changes in both partner’s genes which can increase an inherited risk to your children of developing a genetic disease. To progress a Karymapping diagnosis, simple cheek swabs are obtained from the couple and a relative of known disease status, which in most instances will be an affected child of the parents. These samples are then sent for analysis to enable us to identify any presence of a mutation within your embryos. Once the workup is ready the couple will undergo an IVF cycle to produce embryos which can be biopsied and tested by Karyomapping Embryo(s) that are clear of the affected gene can then be used in a frozen embryo transfer (FET) cycle. We recommend PGD for individuals/couples with a chromosomal rearrangement; which are changes in the normal arrangement or size of chromosomes (the structures that hold your genetic material). Many carriers of balanced chromosome rearrangements are healthy and may be unaware of their carrier status until they try to have children. Testing for any of these chromosomal rearrangements using PGD can vastly improve the chance of establishing a successful pregnancy and healthy live birth. 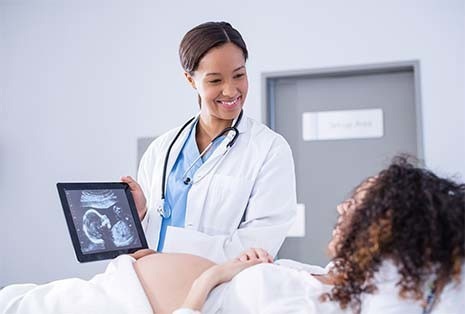 The procedure involves undergoing a cycle of in vitro fertilization (IVF) treatment, fertilising your eggs with your partners (or donor sperm) and taking a biopsy of your embryos to send to the genetic laboratory for testing of any unique rearrangements. After the biopsy the embryos would need to be frozen. When these results are received, we can then transfer an unaffected embryo back to your uterus. Any remaining unaffected embryos can be preserved for use in a later cycle. Not all the embryos that are produced will reach the stage for biopsy. Additionally all the embryos that are biopsied may not give a genetic diagnosis. Typically 90% of the embryos will give a result. A very common risk is that the couple may not have any genetically suitable embryos for transfer. There is a very small risk of misdiagnosis of an embryo. Your genetic counselor will discuss all the risks with you prior to the treatment. In the event that no embryos develop or in the case that no embryos are free of a known condition, your consultant will discuss prospective treatment paths and can answer any questions you may have. The other risks are similar to those outcomes of a traditional IVF cycle, including multiple births, ectopic pregnancies and miscarriage. At any time, you can request to speak with one of our professional counsellors to discuss any concerns and feelings you have throughout treatment or as a result of this process.